From channel playout to internet-based live contribution, remote monitoring and test & measurement, Rohde & Schwarz will use the upcoming major trade show event — IBC2017 — to showcase at stand 7.E25 a number of new and enhanced ingest, production, monitoring and OTT distribution workflow solutions that offer high quality, future-proofed migration pathways to multi-platform IP-based broadcast operations. With its open architecture, R&S VENICE is an ingest and playout system that enables broadcasters to deliver content in the most appropriate manner by merging SDI and Video-over-IP technologies, empowering the user to migrate to IP-based production at a time and speed that best suits their situation. R&S VENICE provides a comfortable working environment and comprehensively covers all major formats and codecs. The system is easy to operate and, in an industry where time equals money, its transfer-while and edit-while ingest workflows ensure fast post processing. It seamlessly ingests and plays out resolutions ranging from SD to 4K, whilst advanced transform functionality allows transforming into all supported formats. Another Rohde & Schwarz focus at IBC2017 will be its R&S AVHE100 system solution for encoding and multiplexing. A compact, yet flexible and scalable transcoding, encoding and multiplexing solution, it offers best in class video quality for premium content distribution, including for today's most advanced video coding standard HEVC – for Over-The-Top (OTT) and broadcast applications. It also fully supports high dynamic range (HDR) video transmission. Elsewhere on the company's IBC stand, following the firm's recent integration with Motama GmbH, Rohde & Schwarz will — for the first time — showcase RelayCaster for live contribution over public Internet services and CodecCaster for high-density live transcoding. With RelayCaster, reliability of contributing and distributing live content via unmanaged networks is significantly improved, as packet loss issues are efficiently resolved. RelayCaster enables the replacement of expensive satellite links or contracts with CDN service providers. In contrast to these services, RelayCaster is not limited to certain regions or data centers. RelayCaster enables distribution of content across any distance, to any place that is reachable by Internet infrastructure. With optional encryption, data streams will be protected between all senders and receivers (AES). CodecCaster is a turn-key solution for real-time transcoding, offering high-performance and high-quality IP-based format conversion and bitrate reduction for MPEG Transport Streams. CodecCaster fully supports transcoding and transrating to multiple bitrates for adaptive streaming for MPEG-2, AVC/H.264 and HEVC/H.265. Audio pass through and audio transcoding for AAC, MPEG audio and Dolby Digital Plus is available. CodecCaster combines the full flexibility and encoding quality of a software-defined solution with high performance. The number of streams to be transcoded in parallel is not artificially limited: All units can be freely configured with unlimited numbers of input streams and output profiles up to the system maximum. Another focus for Rohde & Schwarz at IBC2017 is advanced content monitoring for broadcast and streaming media services featuring its award winning R&S PRISMON multiviewer. Leveraging the experience from its NAB 2017 interoperability showcase, R&S PRISMON will again actively participate in the ‘IBC 2017 IP Showcase’ running interoperable implementations of the latest drafts for SMPTE 2110 and AMWA IS-04 in a live environment. Also at IBC, Rohde & Schwarz subsidiary GMIT GmbH will introduce its secure mobile monitoring service virtuWall as a cloud-based supplementary service to R&S PRISMON. The virtuWall app allows for secure remote display of monitoring information from a set of distributed R&S PRISMON probes. This provides offsite operational personnel with real-time access to monitoring and status parameters of their broadcast and streaming media services on standard mobile devices via regular Internet while profiting from a highly secured web service. In another technology showcase, Rohde & Schwarz will demonstrate the latest enhancements and refinements to their R&S ETL TV Analyzer. 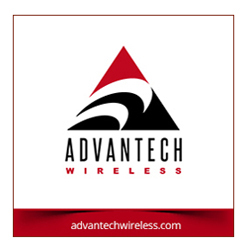 Used by broadcast network operators worldwide to install, maintain, service and optimize terrestrial transmitter networks and cable modulators, this sophisticated test & measurement device has become the universal reference receiver for broadcast signal analysis. The latest version, being showcased at IBC, supports HEVC compression and combines the functionality of a TV (analog and digital) and FM (radio) analyzer, a video and MPEG TS analyzer and a spectrum analyzer in a single instrument. Also, the R&S ETL contains generators to create analog video signals, audio signals and MPEG-2 transport streams. Stephan Krafft, the Vice President, Marketing & Technical Sales at Rohde & Schwarz, commented that through organic growth combined with strategic acquisitions, Rohde & Schwarz has built an elegant portfolio of products, system solutions and enabling technologies that combine some of the best established hardware systems combined with state of the art IP-based systems. 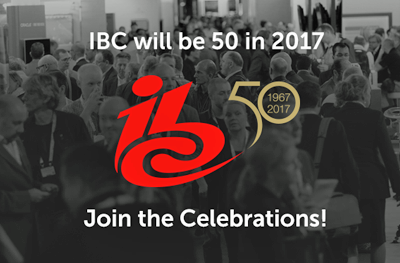 At IBC2017, this will be presented as a series of exciting technology showcases, many of which are unique in the international broadcast and media market.